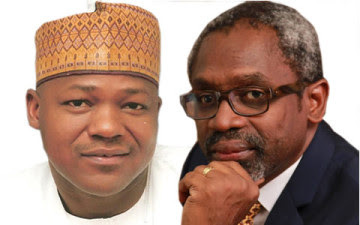 Hope for resolving the leadership tussle in the House of Representatives dimmed on Sunday as a one-on-one meeting between the Speaker, Mr. Yakubu Dogara, and a former Minority Leader, Mr. Femi Gbajabiamila, failed to make a headway. Findings showed that the two sides had met in Abuja ahead of another intervention meeting on the crisis by a committee of three set up by the governors of the All Progressives Congress. The governors had nominated Sokoto State Governor, Mr. Aminu Tambuwal, a former Speaker of the House, to chair the small committee. However, investigations revealed that at the earlier meeting between Dogara and Gbajabiamila’s groups, the speaker had offered Gbajabiamila the chairmanship of the Ad Hoc Committee on Constitution Review. The influential and heavily-funded committee deals with issues relating to amendment of the 1999 Constitution and the added responsibility of looking at the report of the 2014 National Conference. It was learnt that with an estimated yearly funding of about N1bn, the committee would spend around N4bn between 2015 and 2019. Under the relevant rules of the House, the committee is usually chaired by the Deputy Speaker (in this instance, Mr. Yusuf Lasun), with members drawn from the six geo-political zones. But, investigations by The PUNCH showed that Dogara was willing to give the position to Gbajabiamila in exchange for the position of House Majority Leader. It was gathered that to make this possible, the House might have to amend its rules to accommodate the transfer of the responsibility from Lasun to Gbajabiamila, as part of efforts to resolve the leadership tussle within the majority All Progressives Congress caucus. The former minority leader was said to have promptly rejected the offer, insisting on becoming the majority leader in compliance with the decision of the APC. A National Assembly official confided in The PUNCH that Dogara’s group went to the meeting with Gbajabiamila to restate its position that the principal offices in the House should go round the six geo-political zones. The source said, “The Speaker made the offer because he was still insisting that it would be unfair to other zones for the South-West to produce both the deputy speaker and the majority leader. “The ad hoc committee is an important committee and the Speaker offered it in place of the majority leader position that Gbajabiamila is seeking.